Sky Brown -Skating for Change by AWSMKIDS . AWSMKIDS . hasn't added a story. Hi, I'm Sky Brown. 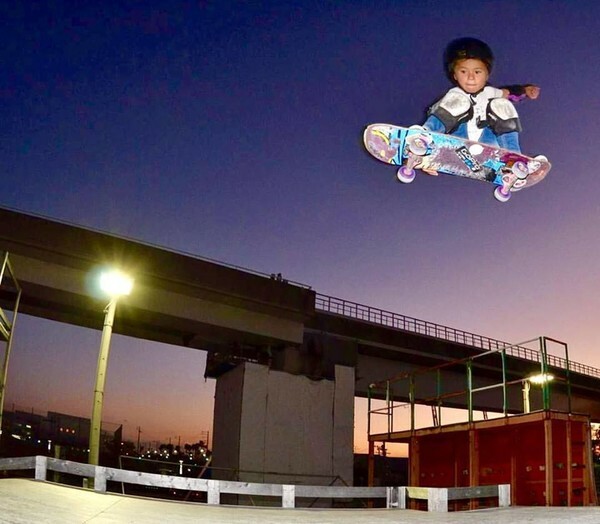 I'm an 8 year old Skater girl from Miyazaki, Japan. I'm also the youngest person to have ever skated in the Vans US open. 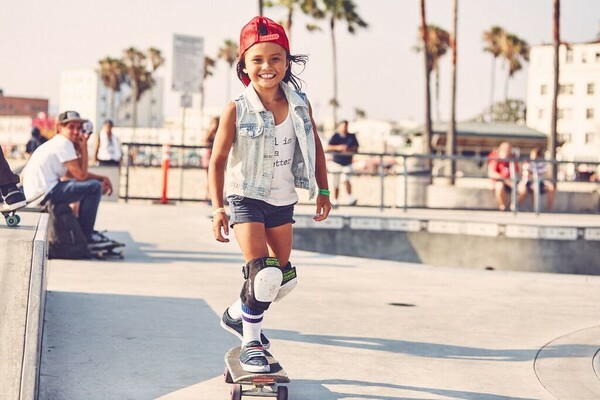 My Skateboarding has given me a unique opportunity to travel and inspire other girls. I feel this is something that I was born to do, and I want to use my skateboarding for something special, but I need some help in accomplishing my goal. The goal is to inspire and empower children that are in especially low income Areas, around the world. I hope to go with my family to as far as Australia, Africa, Afghanitstan and Palestine. I know I can make a positive impact on the childrens lives by using my skateboard. 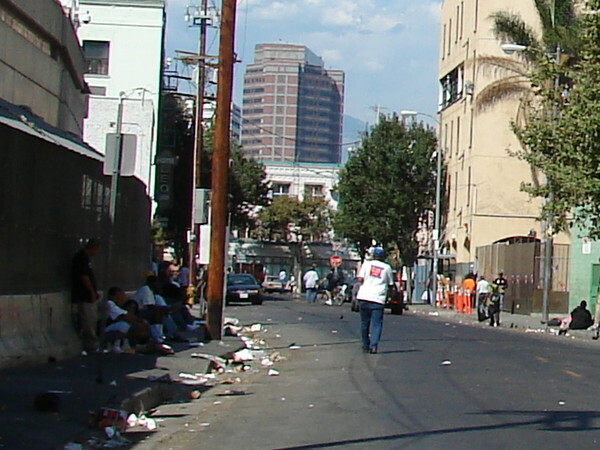 but first things first I plan on starting with the roughest areas of LA. My first mission is to connect, talk and skate with children in very low income areas around LA. I hope to inspire them with skateboarding and show them that whatever their dreams are, if they do there best then anything is possible. 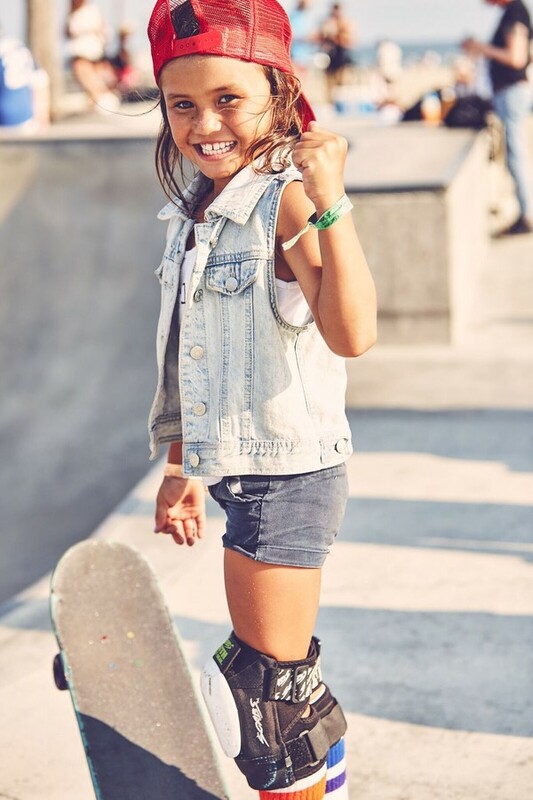 I know that kids relate to kids, and I really want to connect and make friends and hopefully inspire other children through Skateboarding. I believe that being 8 years old makes it way easier for other kids to relate to me. I also hope to encourage kids to stay in school. and most of all realise that they are special and can do anything that they Dream. Over the past few years I have had an overwhelming amount of response, from both Girls and Boys and their parents around the world explaining how they have been inspired by me and my Skateboard. and I hope to bring this to the children that REALLY need it. These are just a Few of the locations on Sky's itinerary for the LA, part of her Skate 4 Change tour. although we will be adding ALOT more to this List.. I am planning to enter elementary school programs too. Any Donations however Big or Small will be truly appreciated, and will help us reach a wider group of children, we will of course use all funds sensiblily. .
We are also interested in gathering product donations for the children, please get in touch if this is something you can help with..
Sky also hopes to go to Exposure 2016 which is the biggest female skate contest in the world, and more importantly it's a non profit movement that empowers women through Skateboarding. So Funds will also be used to getting Sky to this amazing event!! Thankyou for helping me make a difference. AWSMKIDS . hasn't posted any updates yet. AWSMKIDS . is managing the funds for this campaign. The campaign is for a personal cause.